Used for the cutting of PVC profile, aluminum profile, curtain wall and corner connector. The feeding system adopts imported linear guide pair, with high accuracy and stability.450, 900 and 67.50 cutting is available. Good linear guiding pair ensured steady processing accuracy. 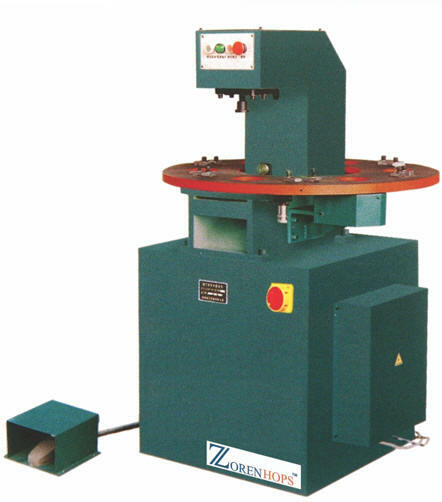 Saw blade rotates smoothly due to high accuracy main spindle. Uniform speed feeding and smooth motion are due to hydraulic damping cylinder. Middle auto profile supporter and following profile supporter make the loading and clamping convenient. It has features of easy operation, reliable performance, advanced technique and convenient maintenance, etc. Imported carbide saw blade ensures accurate processing and high efficiency. Mainly used for cutting & lying of aluminum alloy curtain wall and window materials and also used for cutting and lying off plastic profiles. It utilizes hard alloy saw blade for diameter as big as 500 mm as well as high linear speed and high processing precision. 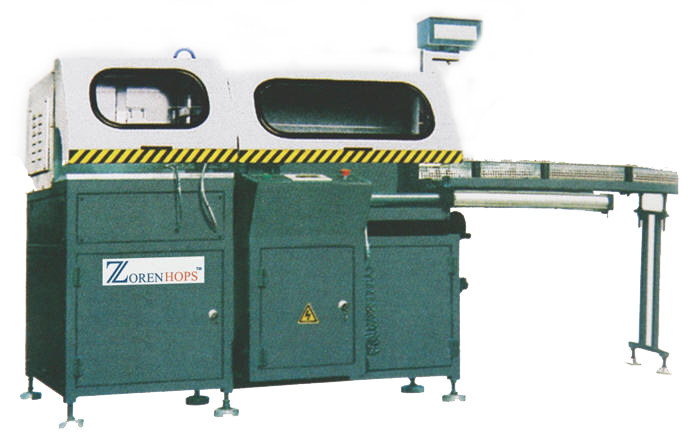 The two sawing units can cut profiles simultaneously or separately; the saw blade can swing to required angle between 900 and 450. The saw blade cuts the profile from bottom to top safely and reliably, and the cutting height and width is enough. The machine tool can be equipped with digital display and CNC System unit. 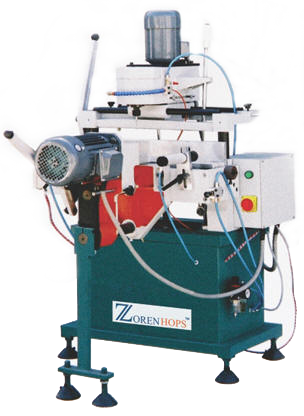 This machine features pneumatic drive, linear and steady feeding. The movable saw head is dragged by the motor with easy operation. The cutter is alloy saw plate with high precision and long service life. It also features hard structure and stable capability. 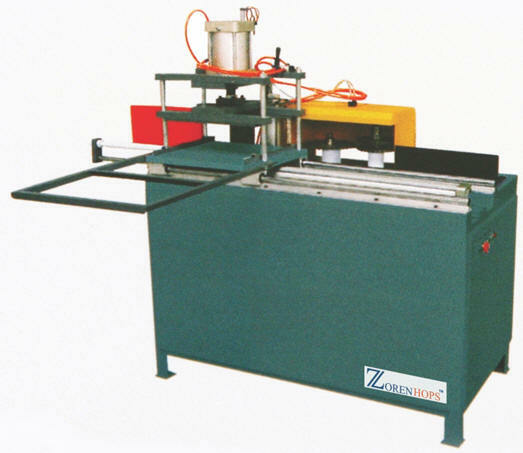 This machine is used for aluminum and PVC profile cutting processing adjusting to 450 - 900and cutting the mid-frame. It features wide cutting range, high productivity and is suit for batch production, continuous and multi-various production. It can be applied to 450 cutting of 38/40/50/52/65 series materials for aluminium alloy. Digital display meter can be added to customer’s requirements. It is easy to adjust the size and is able to position with accurate angles. The cutting is driven by the air and liquid cylinder. The feed speed can be adjusted randomly. It is suitable for bulk processing. It has air operated spraying cooling device. It can process ten 450 knife edges at one time. The resultant surface is smooth and clean. Digital control corner combining entire process, high automatization. Adopt linear bearing pair in motor head, high precision and high resistance. Imported ball screws, high repetition locating accuracy imported CNC system, convenient operation and use reliably. Used in the assembly of Aluminium Windows & Doors. It can complete the assembly of one window frame complete with high efficiency. The compacting device can move forward and backward automatically. Adopted hydraulic system is convenient for the operation and maintenance of the machine. 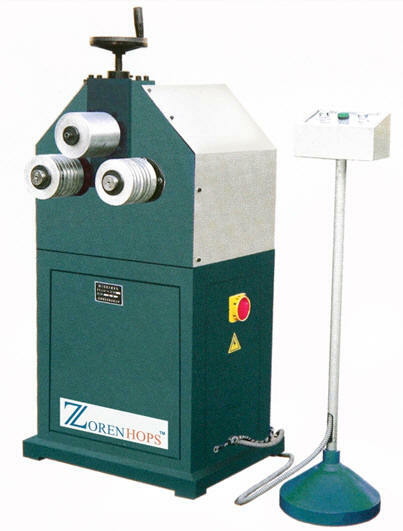 Corner crimping blazes can be adjusted on all sides, widely used in the processing of different profiles. The biggest assembled size of window frame: 1800x3000mm. The smallest assembled size of window frame: 450x450mm. The movement distance of corner crimping cylinder: 0 ~ 50mm. Used for corner punching and riveting combination of aluminium window and door. Two corners connecting at one time are available. With high efficiency production. Wide profile processing range due to convenient location and clamping device setting. High processing accuracy due to super precision linear motion pair adopted in moving parts. 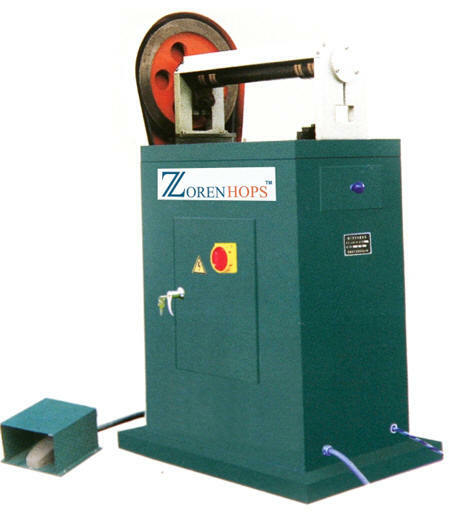 Hydraulic system supplied large punching and riveting force. Connection seam error ≤ 0.15mm. 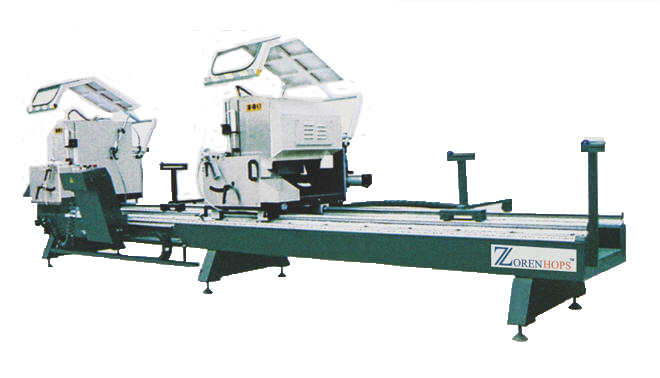 ZHAC-120 Corner Crimping Machine for Aluminium Door & Window used for combining the 900 corner of high quality aluminium windows & door. Adjustable locating device for various sections and sizes processing. Left and right punching heads adopt hard synchronous feeding device, thus avoided useless deformation and make the connections strong. Connection seam error ≤ 0.15mm. 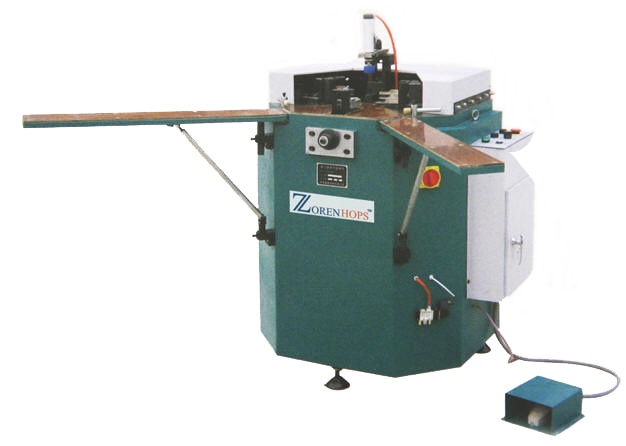 ZHASC-500 Corner Connector Automatic Cutting Saw for Aluminium Door and Window. Specially used in the mitre cutting of the aluminium window & door. The cutting figure on work can be displayed by CNC system. 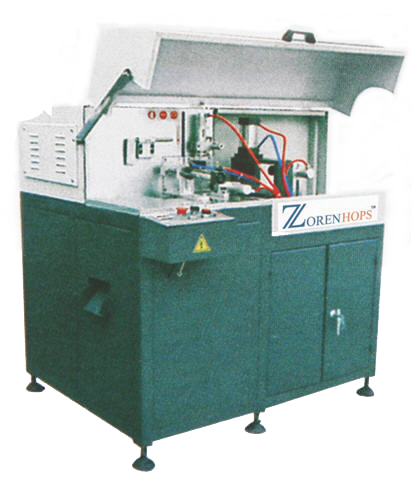 The machine can complete all processing procedure automatically should the profiles be assembled by manual work. Imported liner bearing pair can guarantee a reliable feeding accuracy. Specialized hard alloy saw blades. The feed movement of saw blade is driven by hydraulic damping cylinder. Cutting surface roughness: Ra12.5 ? m. Cutting surface verticality: 0.1mm. Cutting surface plainness: 0.1mm. ZHASC02-500 Corner Connector Automatic Cutting Saw for Aluminium door & Window. Specially used in the mitre cutting of the aluminium window & door. The cutting figure on work can be displayed by CNC system. The machine can complete all processing procedure automatically in case the profiles are assembled by manual work. Imported liner bearing pair can guarantee a reliable feeding accuracy. Specialized hard alloy saw blades. The feed movement of saw blade is driven by hydraulic damping cylinder. Cutting surface roughness: Ra12.5 ? m. Cutting surface verticality: 0.1mm. Cutting surface plainness: 0.1mm. 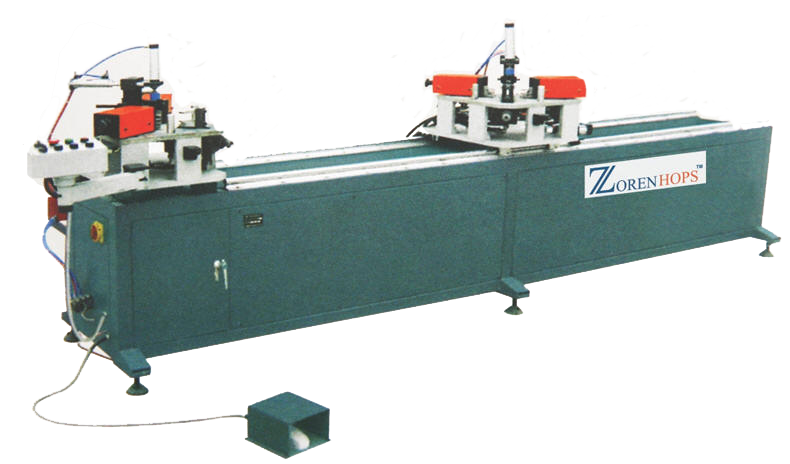 ZHASC-450 Corner Connector auto Cutting saw for Aluminium Door & Window One time clamping, automatic feeding, automatic cutting, automatic output and automatic separation with scrap. The maximum length of corner connector reaches 140mm x 320mm. 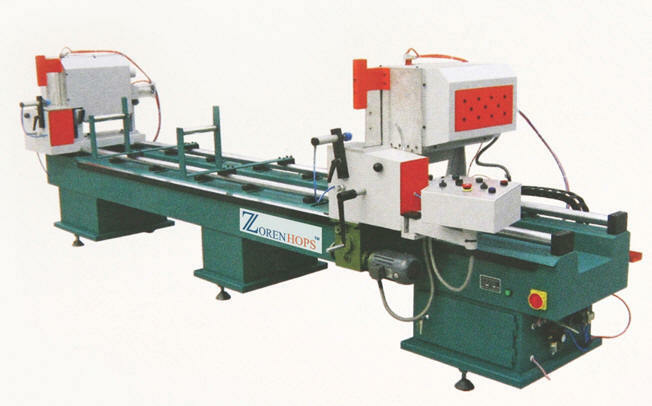 The machine is a device specialized for end face milling of plastic or aluminium profile, adopting the double-shaft structure. One cutter shaft is adjustable, and the shafts are equipped with different cutting tools. The machine can process and shape all different types of aluminium alloy and plastic doors and windows and curtain wall profile. Producing all kind of cutting tools according to the order of customers, our company adopts pneumatic and liquid drive, double-speed feeding and gas-electric interlocking, and adopts linear bearing sliding for the guide rail, so that the accuracy and stability are higher. The countertop is treated specially, so the technological effect is better. The blast oil cooling system is installed to protect cutting tools. The machining quality is extremely good quality. The double shaft structure is employed for the first time ever, so the cutting blades are not required to be customized and the milling and tenoning get easier. The pneumatic fog cooling system makes the milling and tenoning effect better and the cutting tools durable. Precise technology is employed to process the shafts and bearing blocks, making the shafts rotating steadier, and the noise and vibration far less than those of other simulative products. 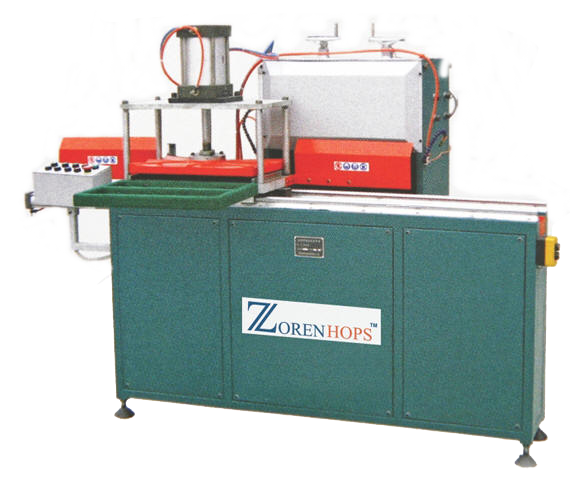 This machine is made up of three-hole drilling machine and copy routing machine. Controlled by the operation pole in the vertical direction, the copy routing feel pole moves along the copy routing plate, which drives the milling cutter to work with the scale; 1:1, in the horizontal direction, through gear case and controlled by the feeding handle the electric motor drives the three special-purpose tools to drill at the same time. Copying range (L x W x H) 290x90x100mm, Drill centre distance 21.5 x21.5 mm. 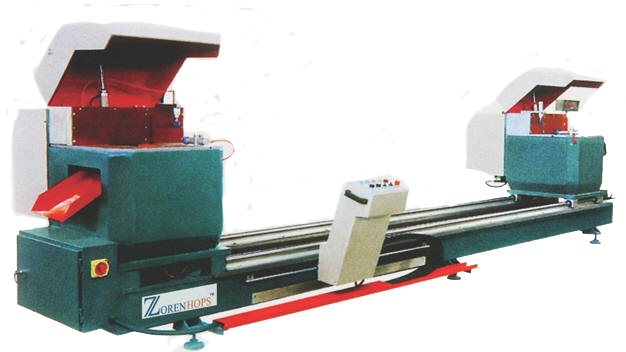 The machine is the special equipment used to process water slot, hole, lock hole, hardware hole and groove of uPVC and aluminium profile. It can process different holes with different copy board. Used for profile bending in the manufacturing of aluminium window and door. Maximum bending profile section size 100x25mm. Minimum. Bending arc diameter is 450mm. Used for punching process in the manufacturing of aluminium window and door. 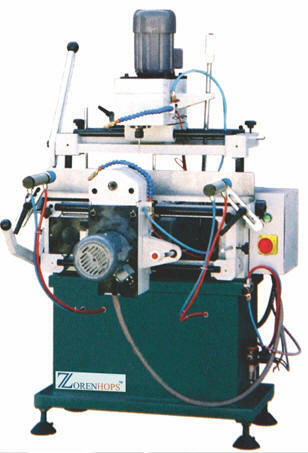 Every combination punching die equipped with the machine can achieve the hole punching process of one type of profile. By changing different punching dies different types of profiles can be processed. 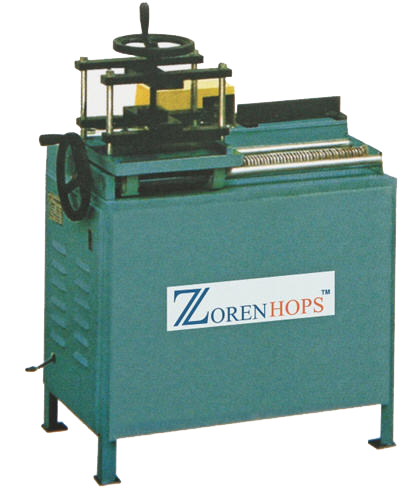 Used for processing of various shaped holes and notch of aluminium window and door. 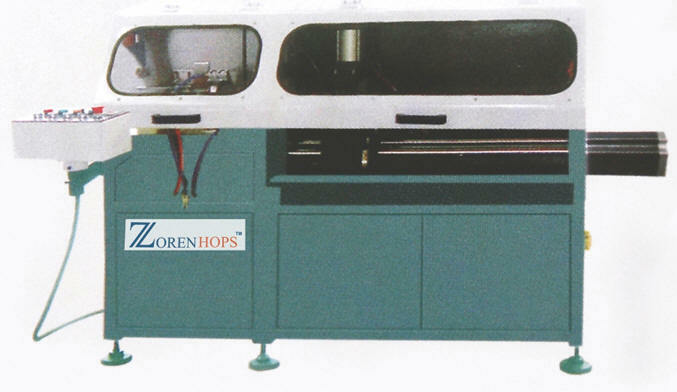 The index worktable can install six sets of moulds simultaneously and exchange to use simultaneously. Adapts multi-location processing. Large hydraulic pressure power facilities process complex shape hole.